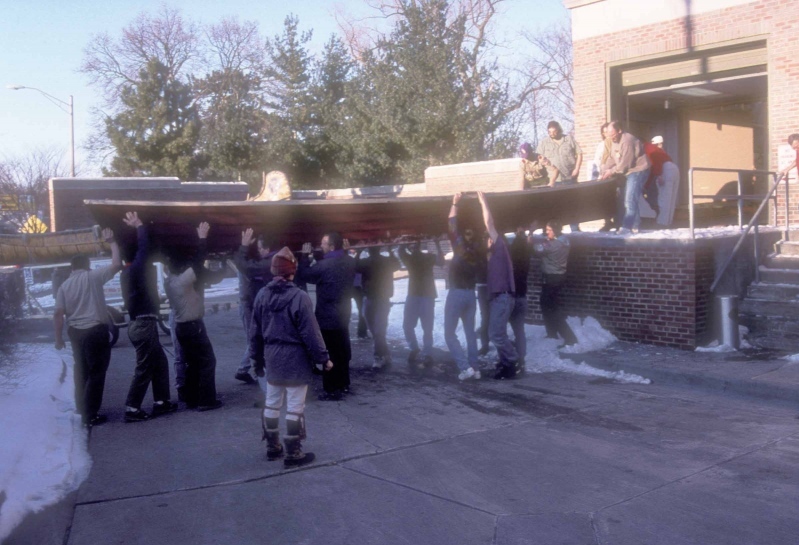 For a number of years there was a canoe rendezvous put on in Battle Creek each spring. When this stopped happening, many people looked for a suitable replacement. Janet Gross, a manager at Raupp Campfitters, decided to put on an event in the Lansing area. The goal was to highlight the great canoes, kayaks and other boats she knew had been built in the area, to allow people to see and appreciate the skills of people who built and repaired traditional craft, and to provide an opportunity for people to hear about the great trips taken by local adventurers. As the first event started to take place, a place was needed to hold it. Many places were investigated, with the emphasis being on low cost. Finally, contact was made with ANR Week (Agricultural and Natural Resources Week) on the campus of Michigan State University. This event is held each year during the week of Spring Break, and includes a week's worth of conferences, events and meetings. ANR Week made it possible to put the Quiet Water Symposium in the Kellogg Center. 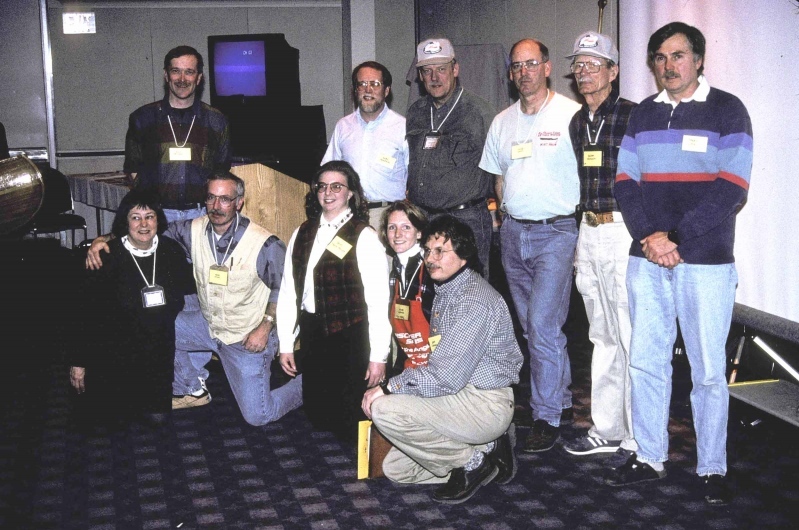 The group photo is of the 1996 Planning Committee for the 1st Quiet Water Symposium. Pictured are Bill Erickson, Karl Pearson, Mike Gray, Barry Sedwick, Jerry Link, Janet Gross, Russ Hicks, Becky Kruger, and Dean Sandell. To the left is an example of how many hands made light work, the moving of the bateau from the display room through the kitchen and out the loading dock to the parking lot.